In the summer of 2013, Shawna Zilonka, a client engagement manager for Kelly Mitchell, walked into Redmond’s Sasquatch CrossFit gym. There, Everett West, who works for the city of Kirkland in law enforcement, volunteered to be Shawna’s coach as she learned the new movements; it was love at first lunge. After a few more training sessions, Shawna began to attend Everett’s classes exclusively. Talking turned to flirting, until he finally asked her out on their first date. 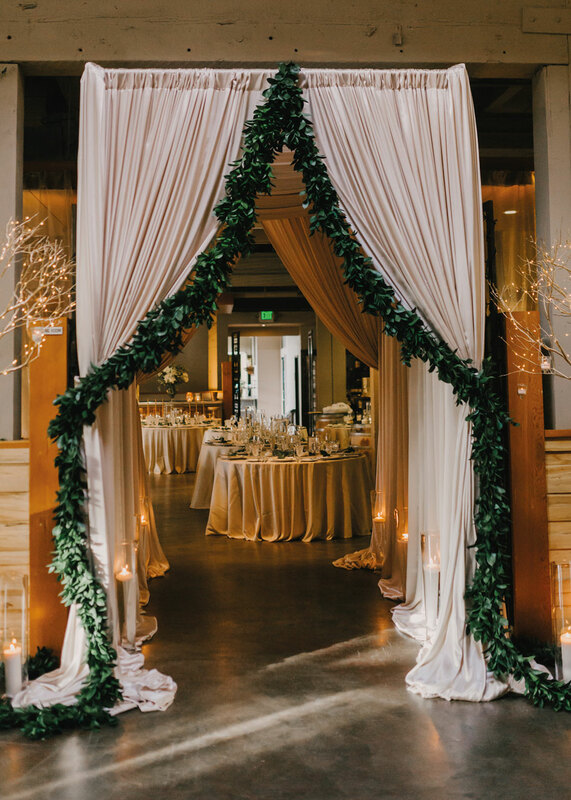 After checking into Willows Lodge in Woodinville for a getaway, the receptionist graciously offered the couple a glass of wine each. As Shawna sipped hers, Everett chugged his entire glass. At that point, she knew something was up. 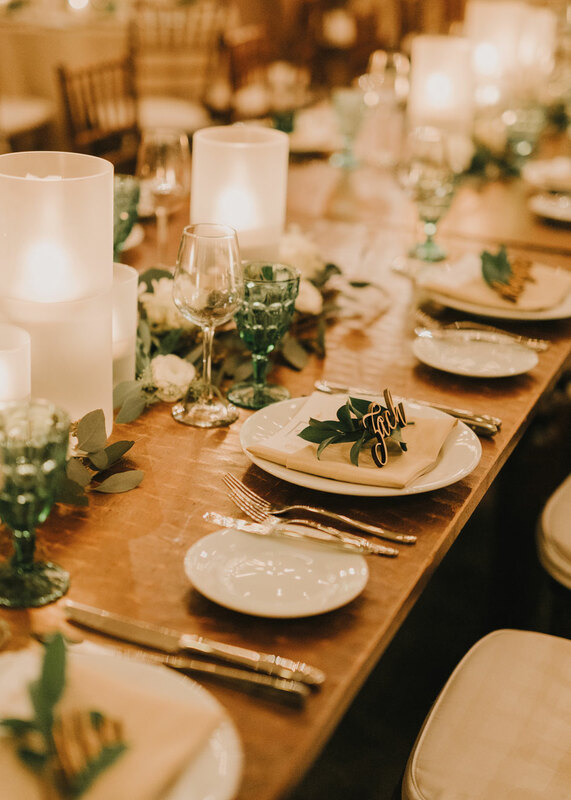 As Shawna opened their hotel room door, she was surprised by flowers and champagne, and when she turned around, Everett was already down on one knee to pop the question. 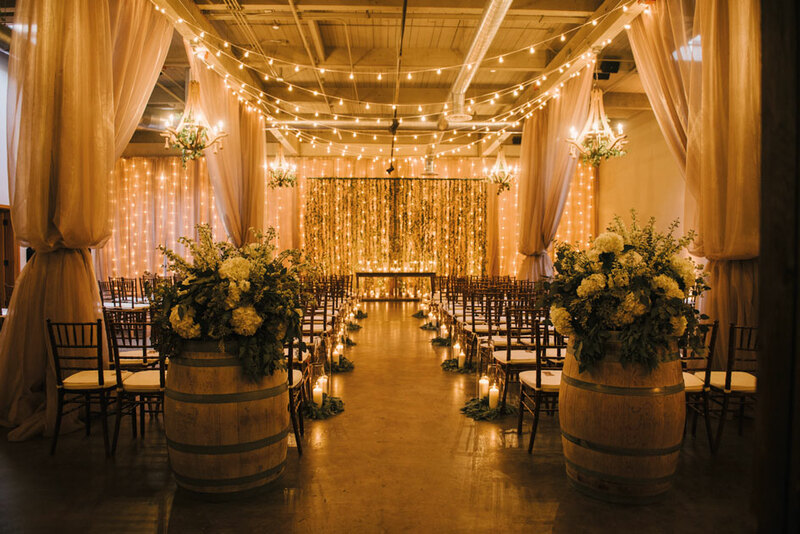 The bride was certain she wanted a rustic fête made complete with twinkling lights, so as soon as she stepped foot into The Foundry, she fell for the inviting space and its elegant white draping. 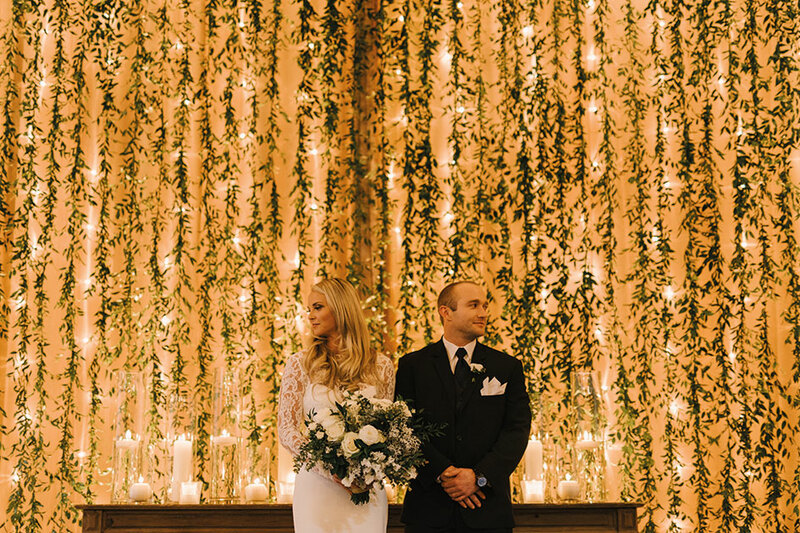 For a grand entrance on the big day, the ceremony aisle was lined with romantic white candles to complement a showstopping drapery wall accented with hanging vines and lights. 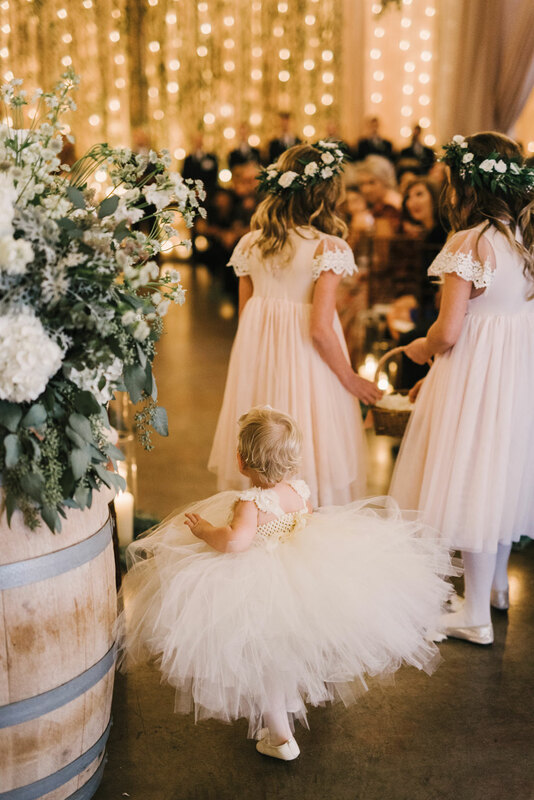 Lush green arrangements were also set atop barrels, with greenery hanging from the chandeliers above. 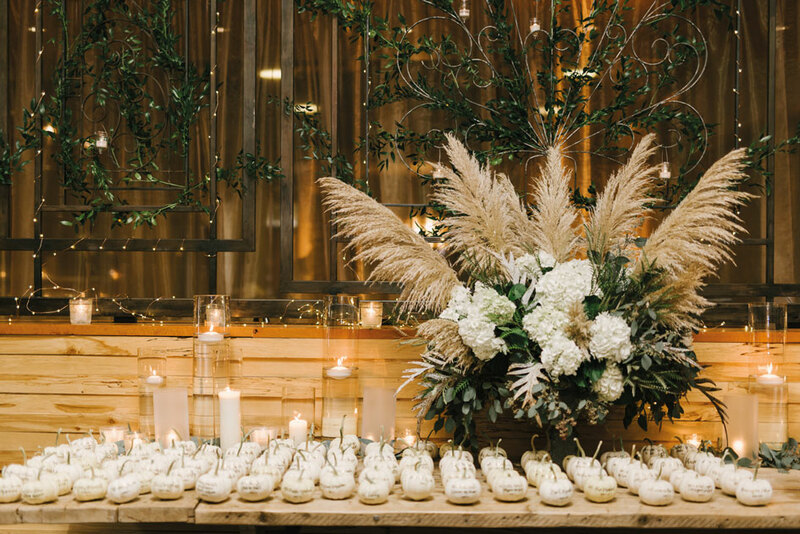 Opting out of a cake, the couple treated guests to delicious dessert bites as well as a doughnut and coffee bar. 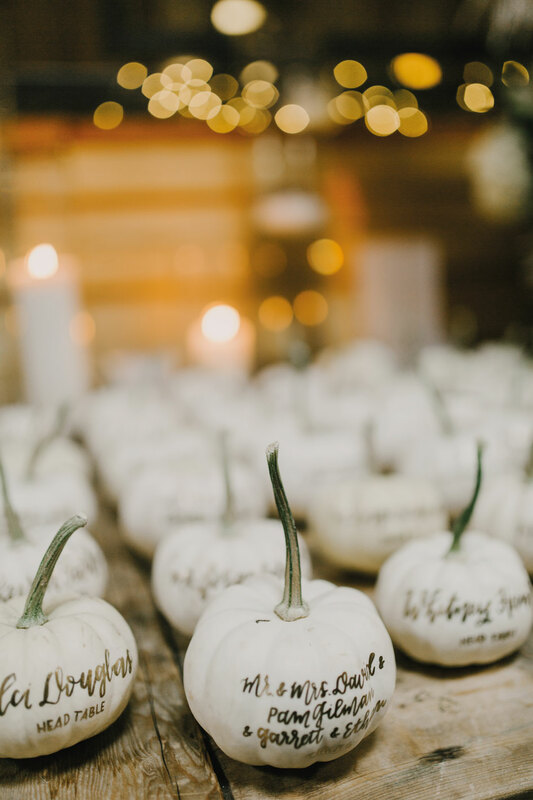 The coffee cups were stamped with a custom “Love Department” logo, a fun spin to incorporate the groom’s law enforcement career. For favors, macarons from Lady Yum were set out on tables for guests to take home.